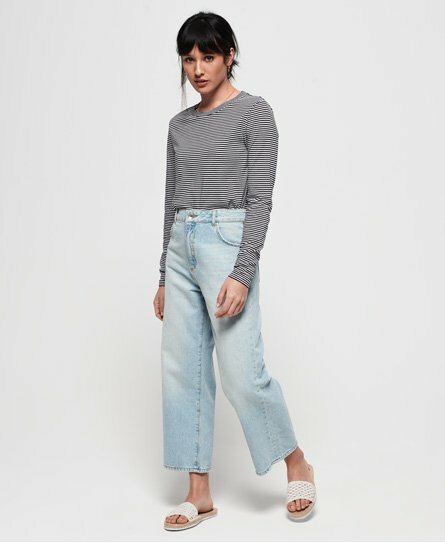 Superdry women’s Phoebe wide leg jeans. 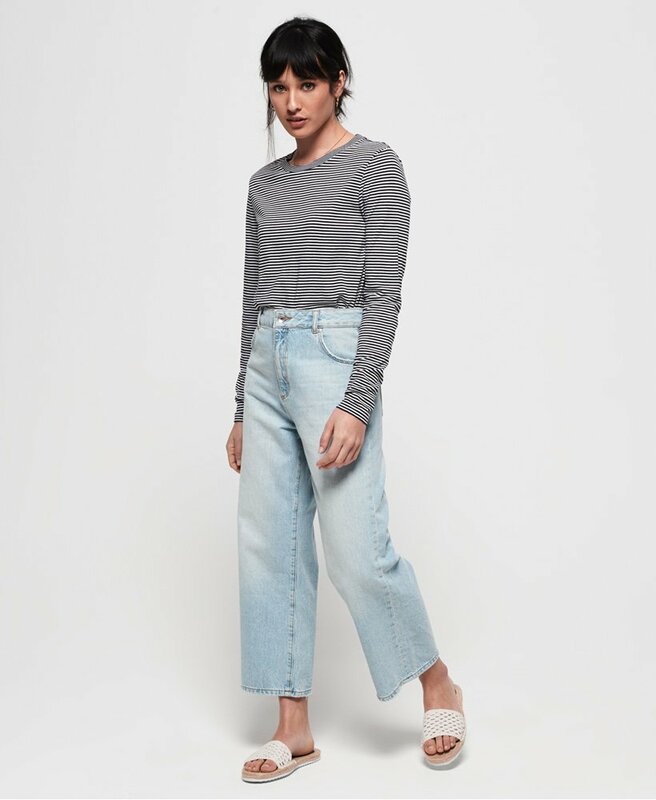 A perfect addition to your everyday wardrobe, these jeans feature the classic five pocket design, button and zip fastening, a high rise and a wide leg. Completed with a leather embossed Superdry logo patch on the back and a Superdry logo badge on the coin pocket.